I OWE MY MINISTRY TO A WOMAN OF GOD, JESSIE PENN LEWIS. My online ministry has been birthed through vision. In 1990, I knew nothing about the Internet. One night I dreamt that I was flying with the Holy Ghost over the city. Looking down I saw a 12 mile line of people, stretching down the highway from Albany to Selkirk. The Spirit said “Pam, do you see that line down there? You are going to minister to every one of those people.” “Where?” I asked. He pointed to a little house and said “from there.” To the east. Over the years, I wondered how I could minister to so many people in one lifetime in that little house. It would have to take a lifetime and perhaps a large staff. Only in recent years have I understood the humor of the Holy Ghost. Today, the Internet is called the Highway, and when we use “the Highway” we are “on line!” I now live in that little place in the east. Shortly after I had begun to work with captives on line in December 2002, that the Holy Ghost spoke again. I was working on the computer in 2003 when I heard Him whisper, “Pam, look, you are now “on line” on the Super Internet Highway. I have really been walking by faith, out here “on line.” Nine years ago, I really didn’t have a clue. Now I have a sense of what the mission is. I am to prepare the remnant church for endtime events. A part of that preparation is to train ministers that the Lord has called to the remnant harvest field. Every bit of work that I do also connects to unveiling the deception perpetrated by fallen angels and demons. Only second to preaching the gospel in His Great Commission, the Lord Jesus Christ instructed His disciples to go forth and cast out demons in His Name by the power of the Holy Ghost. (Mark 16:17) In the Lord’s day and time, this was a rather simple instruction. 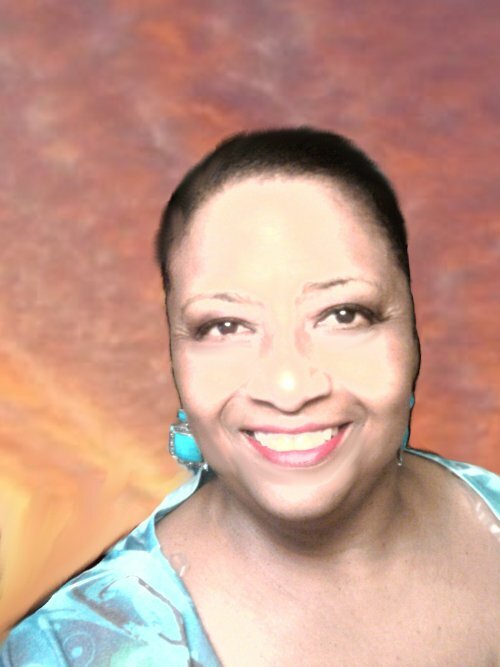 Yet, almost two thousand years later, the ignorance of bible toting people of God concerning the powers of darkness has caused my books and my deliverance mentoring model to be both vital and necessary. In truth, Satan has been extremely successful over the centuries to not only keep the church in the dark about himself and his devices, but the religious demon has actually been able to manipulate the organized church to even promote Satan’s sinister agenda. 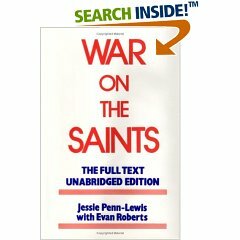 Almost one hundred years ago, Jessie Penn-Lewis, in collaboration with Evangelist Evan Roberts wrote a life-saving and life changing book entitled “War on the Saints.” As indicated in my dedication, this book has no competition or comparison. Simply put, the pain of opening my blind eyes to how the religious demon had deceived me palled to the astounding joy that truth brings. “War on the Saints” literally set me free, equipped me to serve. On October 25, 1911, I will have been in ministry for 30 years. It was all a training ground for what is about to transpire very soon. I hope my books do the same in this hour. If my books help you, it was because of a woman who died in 1915 yet still lives today through her astounding, life changing books. Without Jessie, I would still be imprisoned in a denomination, pastoring cold, dull, lifeless pew warmers.